Finally, the Smart City Challenge is heating up. With the goal of being among the Twenty Smart Cities to be selected in the first round of the challenge in sight, cities across India are doing all they can to stay up top. Faridabad, your beloved city, is not fairing that bad in the challenge. As a matter of fact, Faridabad is spicing things up in the competition, especially when it comes to social media marketing. Well this is not just a random statement, there are numbers behind such boasts. When it comes to Facebook, Faridabad’s Smart City page is among the top 10 most visited and reached pages in the entire country. The MCF and its social media partners have left no stone unturned in promoting Smart City Faridabad. The MCF and its partners are always active on Facebook, educating, engaging and taking suggestions from its citizens in regards to make Faridabad not just a Smart City, but one of the Smartest Cities in the world. To give a brief insight of our Facebook numbers, the Smart City Faridabad Facebook page has about 23,551 likes, with an average of about 568 people liking the Facebook page on a daily basis. On the other hand, when it comes to Faridabad’s Smart City Twitter page or Twitter handle, the city is comfortably placed at second. The Smart City Faridabad Twitter Handle, which is @smartcityfbd, has more than 1,200 followers. With all these numbers, it is safe to say that Faridabad is truly rocking the Smart City Challenge. However, Faridabad should not be satisfied with its current statistics and numbers. It should strive to be the best among all the other Smart City contenders. It is therefore imperative that the citizens take active participation on all the social media activity that is undertaken by the MCF and its partners. What a night – awesome performances, awesome crowd and an overall awesome experience! A night of fun at Sports Complex Sector 12, Faridabad. Be it Kamaal Khan’s melodious voice, or Diljaan’s performance from amidst the crowd or the Richa Sharma extravaganza, the crowd present there was totally entertained. The show started like any normal other concerts, i.e., talented local performers warming up the crowd for the forth coming avalanche. The show was exactly like an avalanche. Everyone was affected by the positive vibe that came from all the performers. This musical night was presented by MCF and its associates. The event was supposed to be just a felicitation ceremony, but the crowd got more than just that. Like mentioned earlier, they were totally rocked by the performances. After brief performances by local talented singers, the 5000 odd crowd in attendance got a glimpse of what was to in store for them when Kamaal Khan graced the stage. He was a true rock star on stage and forced the crowd to start dancing to his melodious voice. Thereafter, students of Manav Rachna College presented a jaw dropping dance performance. The group energized the entire crowd by there electrifying dance moves. The next rocking performance was from Dijaan from Sur Kshetra fame. The musical genius made a grand entry by singing one of his songs while entering the stage. The most outstanding moment of his performance was when he went off stage to perform his song from amidst the crowd. He also escorted Richa Sharma, the star of the show, while performing his own song. Once Richa Sharma was on stage, she brought the entire stadium to floor through her performance. But before she could start her performance, the MCF surprised her by presenting a small video depicting her journey in Bollywood. She was then felicitated by various dignitaries present on he occasion, including Sh. Krishan Pal Gurjar, Hon’ble Minister of State for Social Justice and Empowerment, Smt. Seema Trikha, MLA Badkhal and Hon’ble Chief Parliamentary Secretary, Haryana, and Sh. Vipul Goyal, MLA Faridabad. Richa Sharma also had a ‘selfie’ moment with the dignitaries and the crowd. When Richa Sharma began performing her songs, the crowd was out of control. She educated the crowd about Smart City and incited them to lend their support in making Faridabad a Smart City. At the event, the MCF also launched an anthem for Smart City Faridabad which, Richa Sharma sang to the crowd. This anthem further seemed to motivate the crowd in giving their all into helping being selected into among the best twenty smart cities in India. 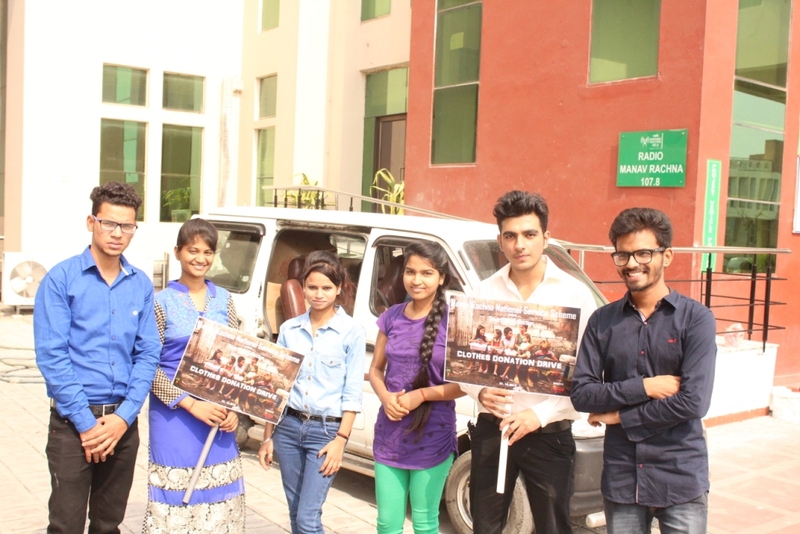 With the successful event presented by the MCF, and its associates – Skylight Contractors, Neelkanth Group, and WeDoShoes.com, the MCF had aimed to educated the people of Faridabad about the Smart City initiative and to bring them together to strengthen the city’s bid in the final stages of the Smart City Challenge. “Where is my snare?” This is the most predominant thought in my mind when I hear the musicians testing their sounds before the Richa Sharma event organized by the Municipal Corporation of Faridabad (MCF). The sound testing for the event has already pumped me up and now I can’t wait for the event to start. Siting here at the venue of “A Musical Evening On Smart City” at Sports Stadium Sector 12, Faridabad, I am all excited for the musical night ahead. So if you are in Faridabad, just come down to the venue and enjoy the melodious performances by Diljaan of Sur Kshetra fame and Kamal Khan of Sa Re Ga Ma fame. Ms. Richa Sharma will also be felicitated at the event as the Brand Ambassador of Smart City Faridabad. So what are you all waiting for? Come down to the venue at Sports Complex Sector 12, Faridabad and be enthralled by the spectacular performances. Hurry! the show starts at 5:30 P.M.
Every successful organization has to have a brand ambassador – a person who is in sync with the ideas of the organization and understands the importance and necessity of propagating those ideas. The Municipal Corporation of Faridabad (MCF) has, therefore, decided to make Richa Sharma its Brand Ambassador for the Smart City Faridabad initiative. Many of us might know Richa Sharma as the Faridabad born girl who made big in Bollywood as a playback singer. But there is more to it. She among the few stars of Bollywood who tasted success in the industry without any backing, showing the true fighting spirit of a Faridabadian. Recognizing her success story an inspiration for others to grow and especially for the Citizens of Faridabad in helping to build Faridabad into a smart city, the MCF has decided to officially felicitate Ms. Richa Sharma as the brand ambassador of the Smart City Faridabad on the 19th of November, 2015. In honour of the felicitation event, the MCF is organising a musical event – “A Musical Evening On ‘Smart City'”, where known singers are going to enthrall the public with their performances. Some of the famous singer who will be performing on the night are Kamal Khan, winner of Sa Re Ga Ma Pa and Diljaan from Sur Kshetra fame. The chief guest of the event will be Sh. Krishan Pal Gurjar, Hon’ble Minister of State for Social Justice and Empowerment, Govt. of India. the chairperson of the event is Smt. Seema Trikha, MLA Badkhal and Hon’bnle Chief Parliamentary Secretary, Haryana. The event will also host a score of other dignitaries. The event will be hosted by the MCF and the venue for the event is Sports Stadium, Sector 12, Faridabad. The event will start after 05:30 in the evening. Be there and be a part of the Smart City Faridabad initiative. It is estimated that about 31% of India’s population lives in cities. 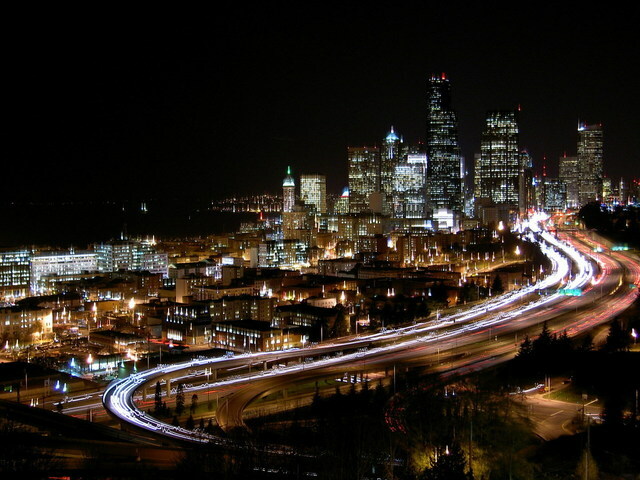 These cities also generate about 63% of the nation’s economic activity. These numbers are increasing very fast and it is projected that almost half of India’s population will be living in its cities by 2030. These cities, therefore, need a way to withstand the ever increasing pressure on its resources. Understanding this grave situation at hand, the Government of India has started the Smart Cities Mission. The mission aims to drive economic growth and improve the quality of life of people living in Indian cities by enabling local development and harnessing technology as a means to create smart outcomes for its citizens. The India Smart Cities Challenge is designed to inspire greater creativity from municipal officials and their partners, more involvement and inspiration from citizens, and the development of proposals that will produce concrete benefits in people’s lives. The Challenge requires municipal leaders and their partners to consult the public to develop proposals that are both feasible and more likely to be implemented. The proposed solutions for the various issues that a city is facing must provide a way to solve these problems while strengthening the city’s governance or its physical, social, or economic infrastructure. As per the Indian Smart Cities Challenge, each city is suppose to formulate its own unique vision,mission and plan for a “smart city.” The concept should reflect the city’s local context, resources, and priorities and aspirations of the its citizens. Cities should draw inspiration from smart solutions that incorporate the use of technology, information and date to improve services for the citizens. 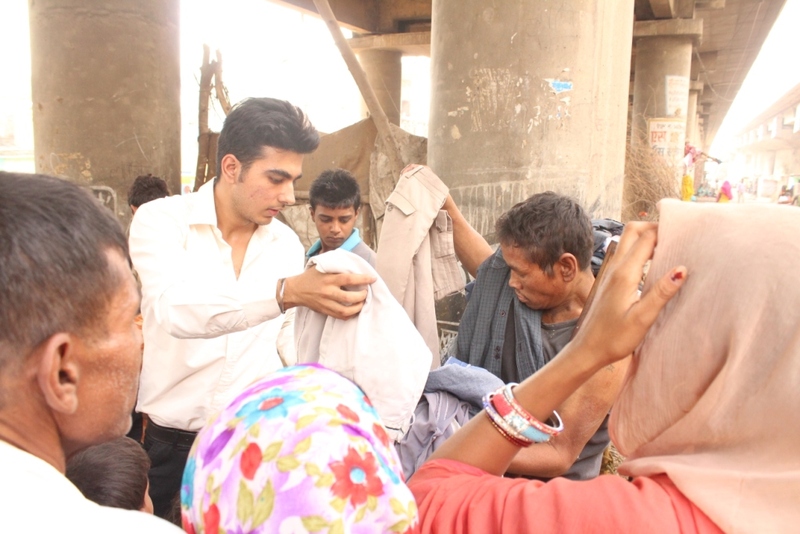 The pan-city initiative must touch the lives of many, or potentially all, of its citizens. This objective of this Smart Cities Challenge is to transform an existing place within each city, creating an exemplar for other areas in the city, or across the country, to follow. Depending on local circumstances, cities may choose one or three approaches – retrofitting, redevelopment, or greenfield development. The concept of a smart city is being embraced by countries and their cities worldwide. This concept of a smart city is focused on self-sustainability and energy efficiency that can be attained through the use of technology. Ubiquitous connectivity of information systems also provides a tremendous opportunity for the IT market as a whole. The importance of smart cities cannot be denied. At present, over 50% of the world’s population live in cities. It is estimated that by 2050 around 6.3 billion people will in cities. Therefore, to be able to adapt to such growth that is sustainable, it is important to adopt and properly implement Information and Communication Technologies (ICT), and other IT services and networks. This has provided opportunities for big multi-national IT corporations, such as IBM, Accenture, CISCO and many others to come to the fore and help in the building of Smart Cities around the world. An example of such collaboration is CISCO coming together with the South Korean government to create the city of Songdo, where escalators know when people approach and telepresence embedded homes and offices. An other such collaboration will see the city of Masdar in Dubai become a complete sustainable city with solar energy farms and a complete ban on petroleum vehicles. The city of Masdar is set to boast an ultra-secure IT protection framework. Governments of many countries have already adopted new technologies such as mobile devices, data analytics and powerful web applications in order to better administrate and communicate with its citizens. With the use of such technology, governments around the world are easily able to sort issues such as traffic congestion by analysing the problem areas during peak hours, intuitive crime reporting systems which highlight problem areas, and help in averting environmental disasters by alerting the citizens in advanced. Smart cities have become an irrefutable reality in today’s world. This is a fact as these cities provide significant solutions to sustainability, energy conservation and the reduction of poverty. Through a convergence of social innovation, technological progress and advances in construction, smart cities are destined to change the way the world lives and work. Cities have always been a gauge to measure development and economic growth of any country. However, it cannot be said that the development was always “smart.” An example to illustrate that point would be the fact that health conditions of workers were greatly sacrificed for greater productivity during the Industrial revolution. Fast forward to the modern times, with all the advancement in technology and its application in day to day activities, many cities are accumulating data, delivering innovation, and enhancing lives of citizens, which are the basics for any smart city. the term “smart cities” is a bit ambiguous. There are many definitions of smart cities that are put forth by a great many number of people. Some people choose a narrow definition – that is cities that use information and communication technologies (ICT) to deliver services to their citizens. However, I believe that the most convincing definition of smart cities is that these cities use ICT to their advantage in order to become more intelligent and efficient in the use of resources, resulting in cost and energy savings, improved service delivery and quality of life, and reduced environmental footprint. It is seen that the people living in cities are economically motivated. These people are always on the lookout to take full advantage of modern technologies to further their personal and collective opportunities. This sometimes results in strain on the environment. To illustrate this point, an example would be of people using motor vehicles to commute to work. Everyone wants to reach office at the earliest, which often results in traffic congestion and also an increase in pollution levels. Well, smart cities are cities where citizens have to come up innovative ways to tackle such issues with the effective use of technology. Citizens are not the only factors to consider in the evolution of cities into smart cities. Governmental and commercial entities are going to play increasingly important roles in development and implementation of technologies that pave the way to the smart city. Given below are a few examples of smart cities around the world and how we can follow their examples to make Faridabad into a smart city. Barcelona, Spain: This city scored high on the environment and smart parking. 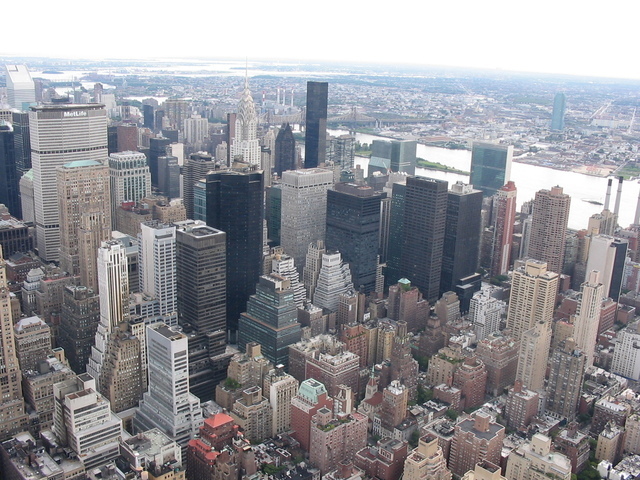 New York City, USA: New York City scored high on smart street lighting and smart traffic management. 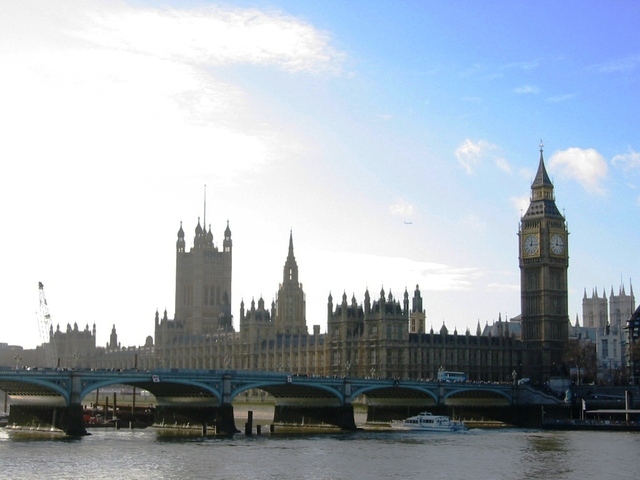 London, UK: London scored high on technology and open data. Nice, France: The French city scored high on environment and agency cohesion. 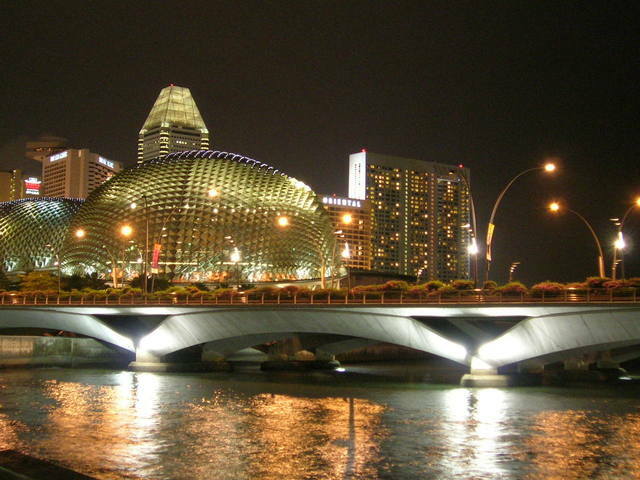 Singapore, Republic of Singapore: Singapore scored high on smart traffic management and creative use of technology.